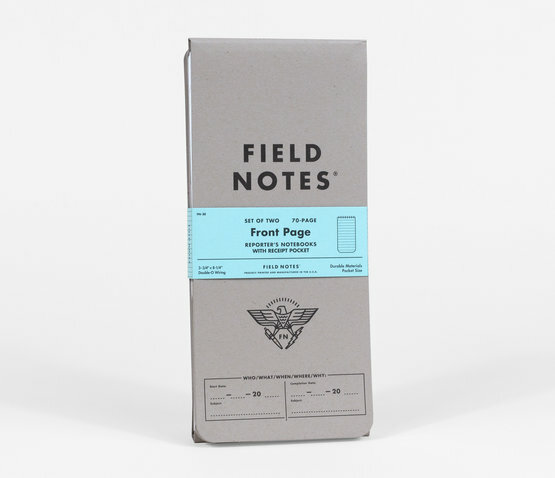 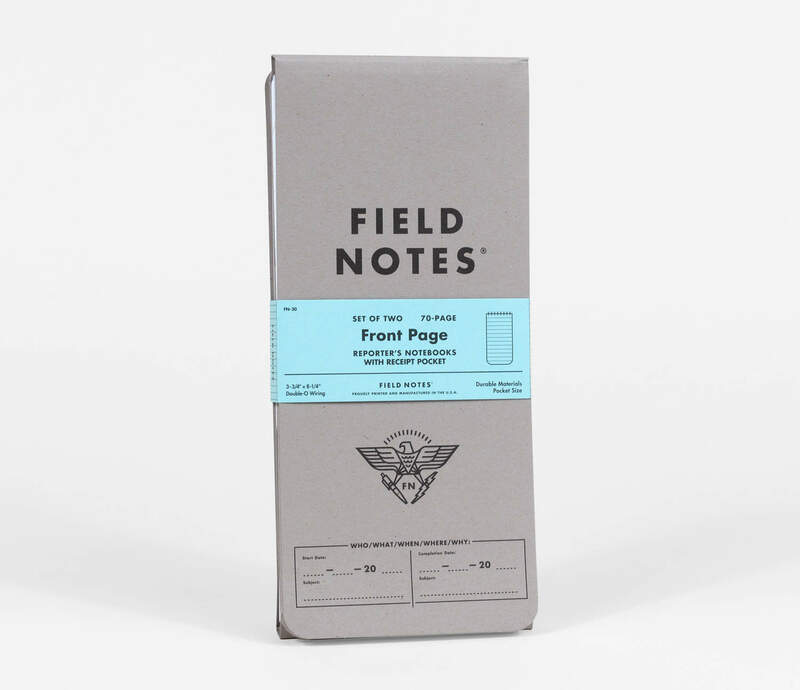 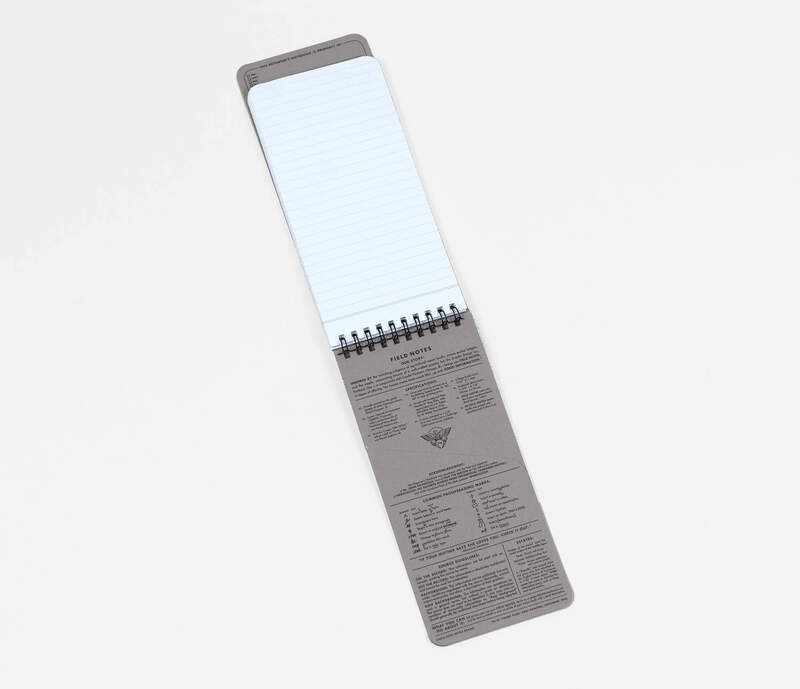 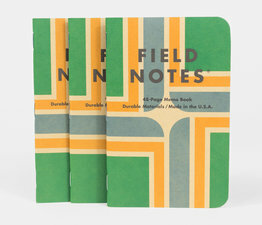 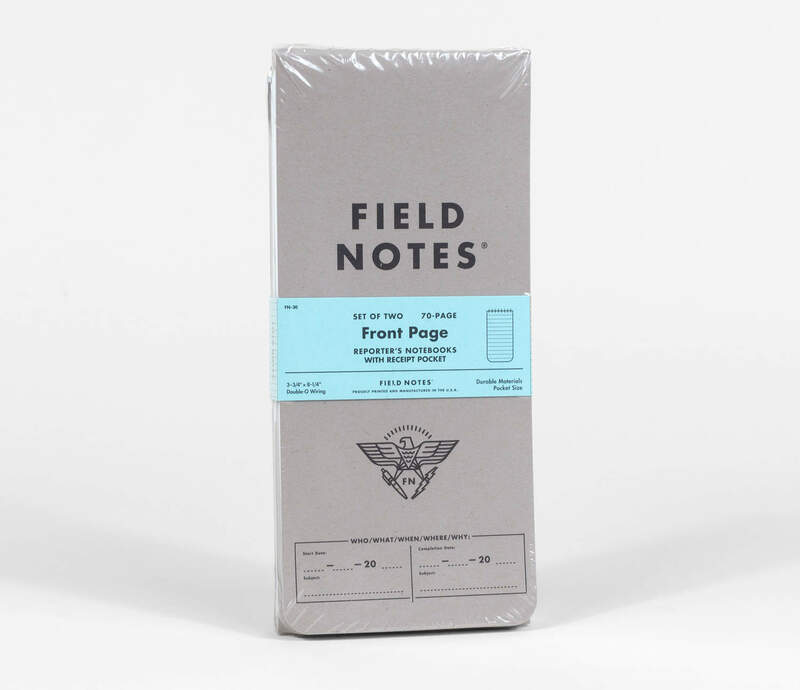 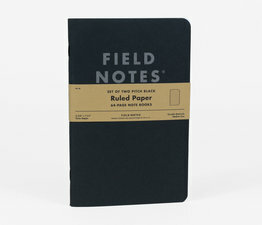 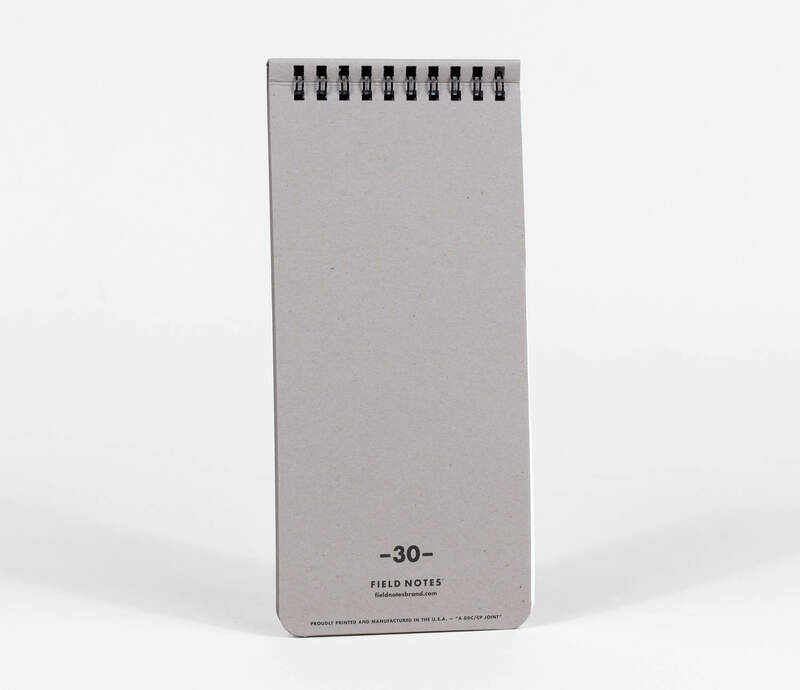 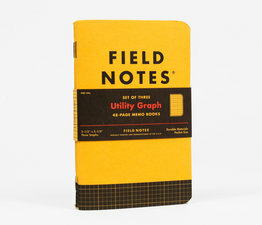 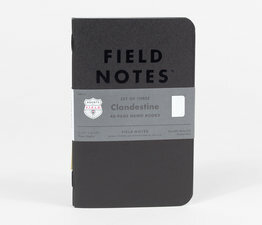 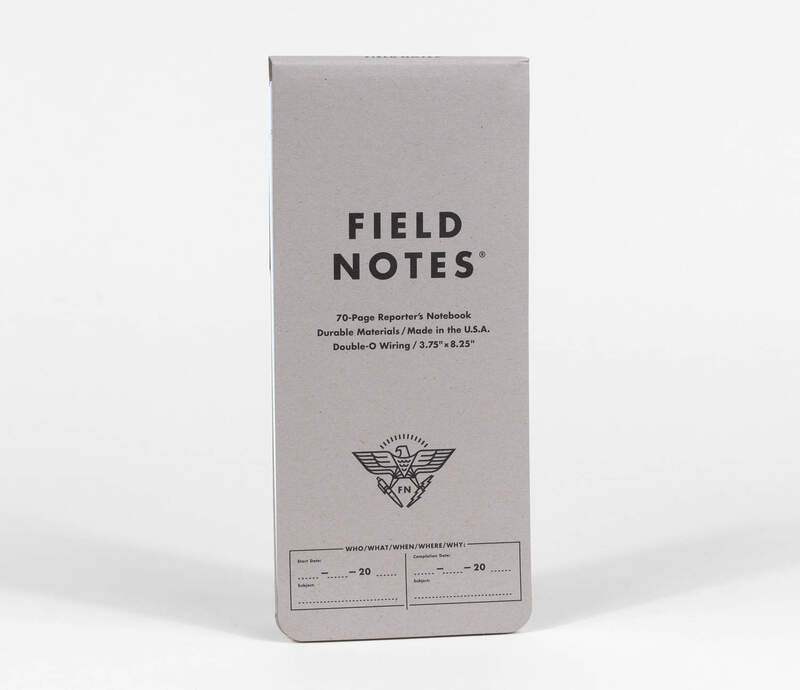 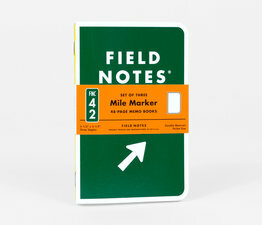 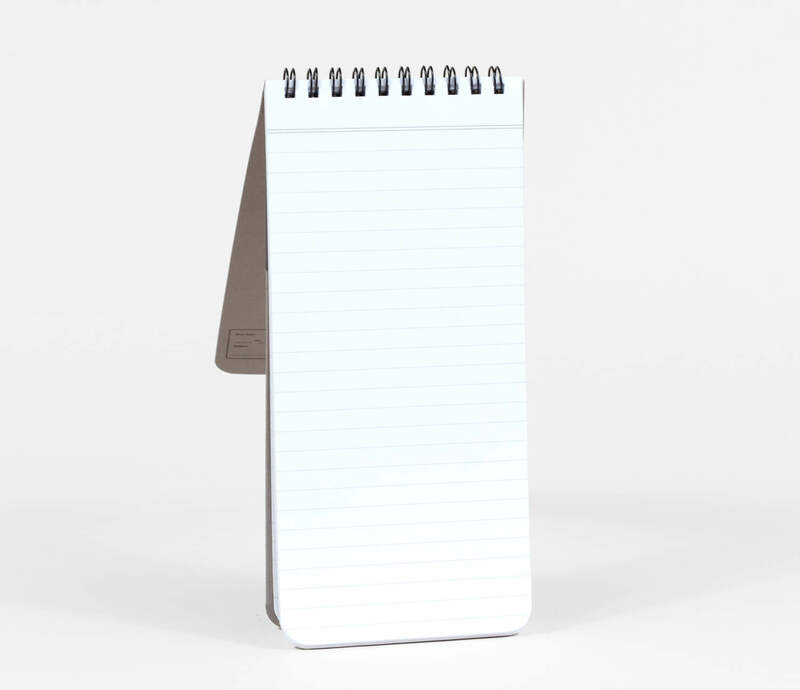 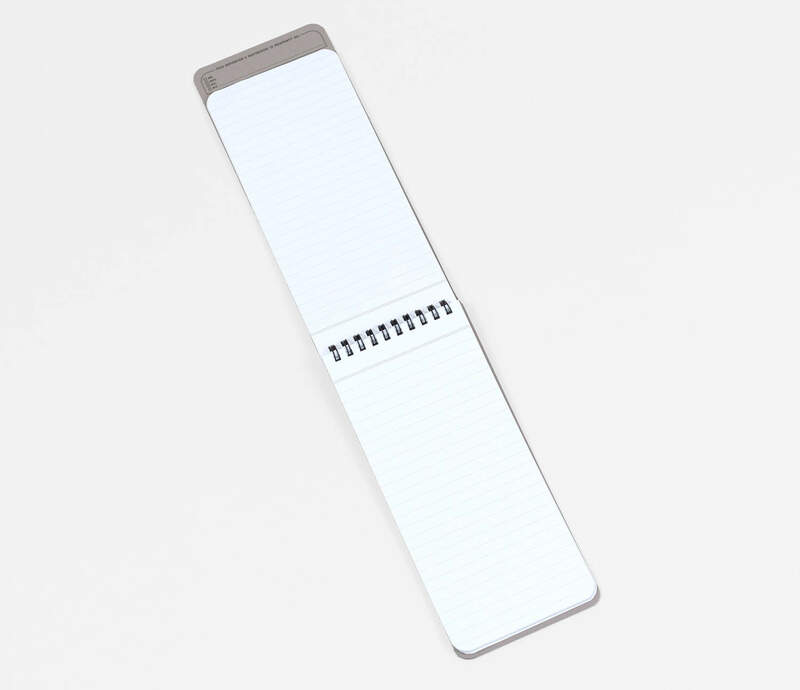 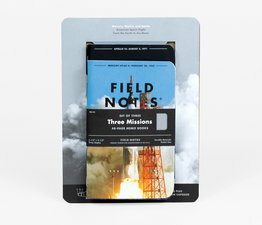 The heavily requested Reporter's Notebook is now a Field Notes mainstay. 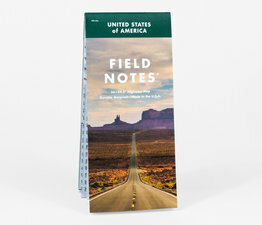 The books are 3.25" x 8" with 70 lined pages and an inside pocket. 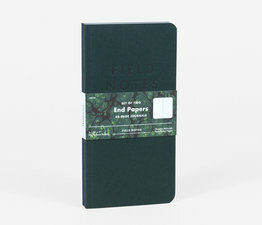 The cover is heavy 120#DTC Neenah stock, in a light “Concrete” gray and the innards are Cougar 70# text paper. 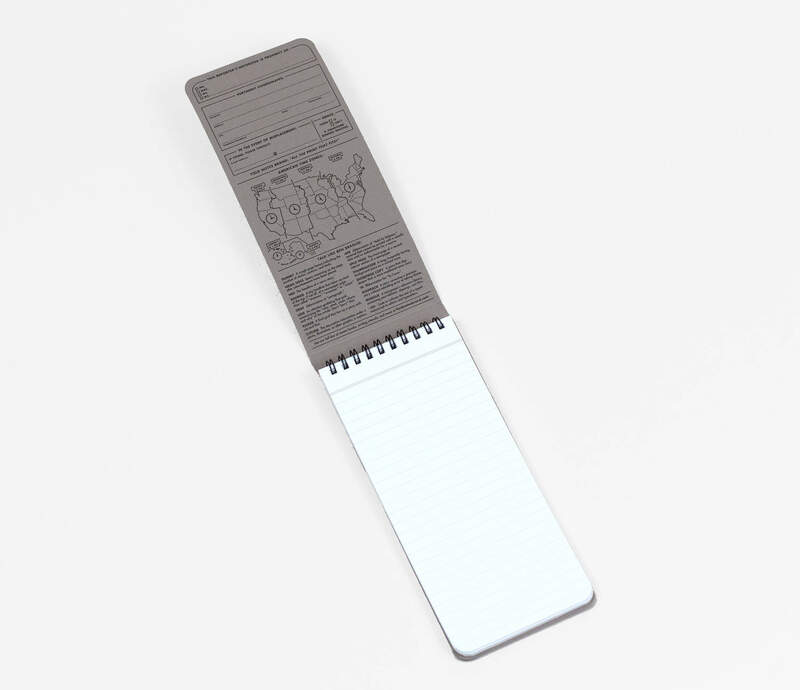 Covered wire binding, so it doesn't get snagged on stuff in your bag.